We are very excited to welcome the “King of Crust” Nick Macleod to the The Angela Gray Cookery School in 2018. 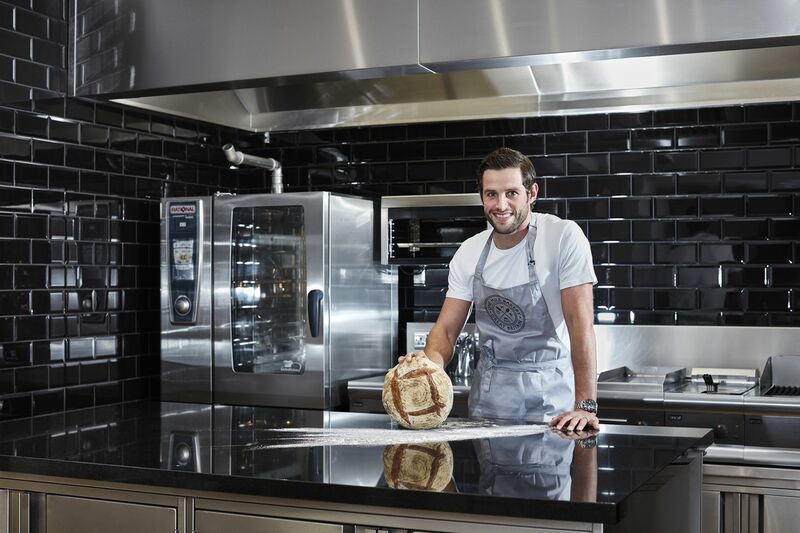 The ex professional Rugby player turned first-class baker comes from a family of passionate food lovers and his love of baking has turned into a flourishing business and new career, putting all that muscle to good use! He opened the One Mile Bakery in 2016 where he bakes and delivers bread, delicious homemade soups and seasonal jams to his community in Rhiwbina. Now he will be rolling out a range of very special courses at the School throughout the year and Angela is delighted to welcome him on board. Here is flavour of what to expect with these three courses, “European Classics”, “La Boulangerie Française” and “Naughty But Nice Tea Time Treats”. It all promises to be great fun, so get ready to roll up your sleeves and get physical!